A new NVR series launched by Wavestore is utilising powerful video processing technology from BCDVideo. Available from all Wavestore Authorised Distributors and Partners around the world, the WR-Series NVRs have been engineered for the efficient processing and storage of video and are an ideal complement for Wavestore's feature-rich video management software (VMS). Unmanned Security & Safety Expo New York is an all-new, trade-only event focused on UAS and UGV technology and hardware. Restricted to qualified professionals sourcing or providing autonomous solutions in commercial and government security and safety, drone detection/counter-system applications, updates and education in UAV regulations, and more. To be held 20-21 Nov 2019 at the Jacob K. Javits Convention Center, New York, and is anticipated to be an annual event. Secure bike, garden shed, allotment, garage - in fact just about anything with this smart padlock operated via a smartphone doing away with fiddly keys and long code combinations. FEIN will introduce the NEW E-Cut Carbide Pro saw blade. The blade's carbide teeth coupled with their TiN coating make the accessory durable and resilient, ensuring a very long service life. Even hard and abrasive materials can be handled with ease. Videx, has expanded its GSM range, introducing a new device compatible with its flagship VX2200 system, both 2 wire audio and 6 wire video versions, that enables audio calls to be made from any of the VX2200 entrances to a mobile phone or land line. Sargent and Greenleaf (S&G), a manufacturer of high-quality mechanical and electronic locks, announces its newest centrally controlled, Internet Protocol (IP) safe lock: NexusIP. As an IP security system and part of S&G's Digital Platform, NexusIP is a fully scalable solution that allows for real-time, remote monitoring and control of one lock or multi-lock location network for a more reliable IP safe lock. How proactive are you in advising your customers and prospective customers about home security? Recent Home Office statistics have shown that in nine out of ten crimes, nobody is charged. Along with this, the numbers of burglaries are rising, painting nothing but a gloomy picture. UNION, part of the Door Hardware & Access Control Group, a business unit of ASSA ABLOY Opening Solutions UK & Ireland, is advising locksmiths and key cutters that they may be missing out on valuable revenue opportunities, due to a misconception that replacement keys cannot be cut for many popular UNION cylinders. 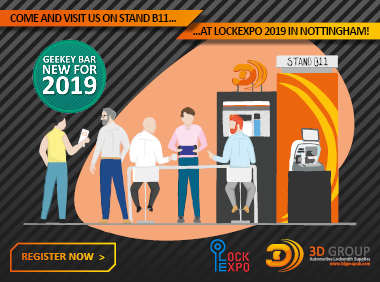 The Willenhall-based lock manufacturer is recommending UNION's outlets do not miss out on additional business opportunities, over the belief that 112A profile key blanks for UNION differ cylinder ranges cannot be purchased or reproduced. Wavestore, the British developer of highly secure, open-platform Video Management Software (VMS), has introduced EcoStore, an energy saving technology developed to significantly increase the sustainability of a video surveillance solution. With businesses looking at ways to reduce energy and operating costs, as well as wishing to implement social environment friendly policies, EcoStore offers the potential to save over 80% of the overall energy normally required for a hard drive storage solution. It does so by facilitating the spin-down of hard drives, or groups of hard drives, which are not in a read/write state. A lot of attention on security has been focused on cyber-crime but it is the more traditional theft that is still most common and just as harmful. 63% of reported commercial crime in the retail sector was from shoplifting and 24% was from assault. The project was commissioned through Kent-based trade customer Taylor Refit, who removed the existing doors and installed new high security steel doorsets certified to LPS 1175 security ratings from the Powershield range. 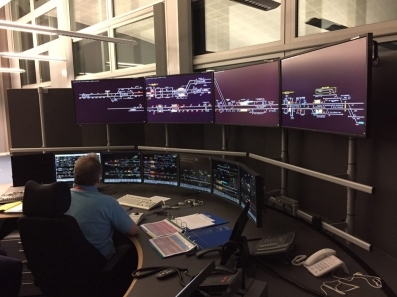 The upgrade comes as part of Network Rail's plan to heighten the security level to its signal rooms following the recent vandalism. Like everyone in the UK right now, we are following the twists and turns of the Brexit negotiations. The sharing of customers', citizens' and employees' personal data between EU member states and the UK is vital for business supply chains to function and public authorities to deliver effective public services. Gira, one of the world's leading full-range suppliers of intelligent system solutions for building management, is pleased to welcome three new team members to its prestigious UK brand and business. UNION's keyPRIME reversible key cylinder platform has been installed at the University of Essex's new student accommodation, providing assured key control for the university and security for undergraduates.